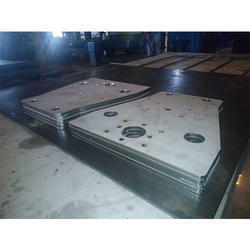 We are providing Sheet Metal Laser Cutting Machine Services to our clients. We are rendering a wide array of Stainless Steel Laser Cutting to our prestigious clients. We have hired a team of talented persons to execute the services within the time frame as per the client's requirements. In addition to this, one can avail these laser cutting service within a limited period of time. Looking for Sheet Metal Laser Cutting Machine Services ?